have early started this adventure of connected car, more or less successfully. reveals a lack of anticipation, and thereby a dangerous driving. However, the lack of results of these deployments has led some German and US insurers to abandon Telematics . especially about the deep learning (or machine learning). numerous, so it would take millions of drivers during decades before having relevant statistics. not present in the "severe braking" experiments mentioned before) therefore demand to know, among other things, speed of the vehicle, and where this speed is practiced. But as digital maps have all recoded the maximum authorized speed, then if you record the speed and geolocation in a cloud ... it potentially saves violations of speed limits. telematics boxes that record raw data in the cloud ! However, some European insurers continue to test this kind of solution in the hope (bu in vain) that the "deep learning" and "data scientists" give their risk scores. have the opportonity to defend themselves saying ‘there is no choice » because SafetyNex estimates risk of driving without recording ANY confidential data ! And it was shown that SafetyNex delivers every needed data to insurance companies (without any violation of driver’s privacy).
. in the cloud: this is contrary to the laws that protect privacy of people. II - HOW SafetyNex SOLVES THE PROBLEM OF « DEEP LEARNING » DISQUALIFICATION FOR INDIVIDUAL DRIVING RISK ESTIMATION ? The accident is a rare event (1 accident every 70 000 km on average and mostly minor). another one because many roads intersect, etc ...it’s never the same). the behavior of the vehicle at the time of the accident (in order to "explain" the accident as say the statisticians). Of course, nobody has millions of observations of accidents at each location of the infrastructure, then statisticians will just tell you « not enough data ». of 5 years (it's long ? isn’t it ? ) will lead on average to 99 999 km without acident and 1 km where an accident occured. Let’s say it was a Thursday, at 15:00, the vehicle was traveling at 100 km / h, etc. Certainly, it has led many Thursday without accidents, but the only day he had an accident was on Thursday: the probability of having an accident on Thursday is therefore greater than that of having an accident the other days. an influence if traffic varies with day, but obviously it os possible to have an accident any day of the week!). As a conclusion let’s keep in mind that It's easy to make global statistics of accident on a large population (France, Europe, USA, ... hundreds of million people). But at the individual level, it is not so easy. But the goal of onboard telematics is precisely to estimate a risk, at the local and individual level ! « law of large numbers »). But it's better to say it because it is apparently not obvious to everybody (and it sounds always « cool » to tell your boss and your friends that you work on a deep learning application ! ^^). SafetyNex circumvented this problem by working in a much more rational and finally "classical" way, using knowledge and risk evaluation methods already validated by experts of accident. Note: To develop the theory of relativity, Albert Einstein did not record hundreds of billions of data to feed a deep learning system that automatically found the law E = mc2. He used the knowledge of physicians, and inference methods of mathematics that have led to this formula. And then, in order to validate this formula, experimental physicists have performed hundreds of experiments. research programs PREDIT ) and developed SafetyNex which is a "knowledge-based system" , validated a posteriori on about 50 million km. These experts work the same way than industrial risk experts in factories with methods like FMEA . projects « Arcos » and « Sari ». This research showed a key concept in accident: the "near accident" or "quasi accident" , a more regular notion than accident (And therefore a notion that can be studied mathematically). Basically, if you put your feet in the water and strip the electric wires of the light of your ceilling, you are 100% in state of near-accident. Note that you can do so without being electrocuted. It is the repetition of the act that eventually, randomly, will cause electric shock. This concept is particularly interesting for the insurer because it measures the RISK THAT THE INDIVIDUAL TAKES, out of luck or bad luck consideration. It is exactly what the insurer needs to know. And it is completely knowledge based : IF you put your feet in the water AND … THEN you are 100% in near accident case. 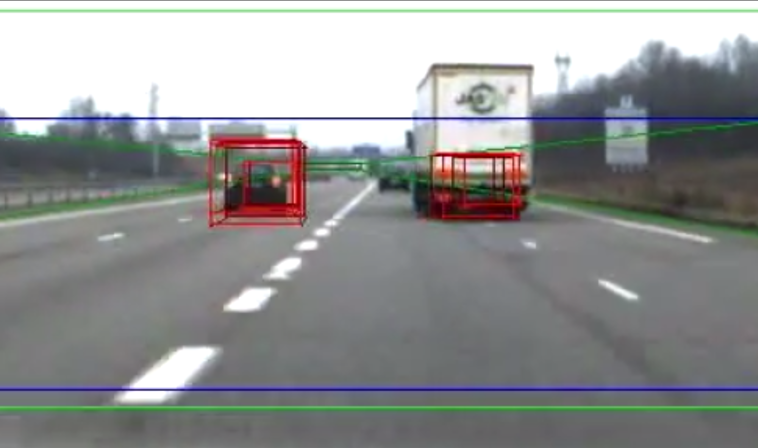 You do not need deep learning, you "know": SafetyNex works like this. whatever the financial strength of the company who wishes to do it. 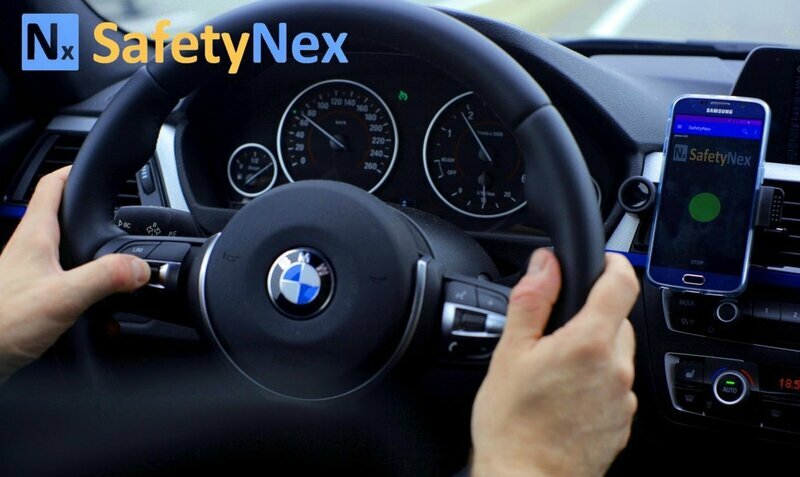 SafetyNex applies about 5000 cause effects rules, and is usable WITHOUT DELAY: no observation period or learning period, when the driver dstarts driving with SafetyNex you know the risk he/she takes iatevery moment. Among these high-level expert knowledge is included the fact that 75% of accidents are due to inappropriate speed of the car to the danger of infrastructure. Everything other factors (poor visibility, not compliant interdistances, rain, etc ...) are important, of course, but they explain 25% of the variance of the phenomenon. factor of accident . All others are within remaining 25%. III - HOW SafetyNex SOLVES THE PROBLEM OF RESPECT FOR DRIVER’S PRIVACY ? Risk estimation in driving requires having contextualized synchronized data : how the driver drives, and where it takes place. SafetyNex bypasses this difficulty by performing all risk computing locally on the smartphone microprocessor, so that no indiscreet data is recorded on the cloud. Raw data are indiscreet : they may let easily know if you cross speed limits, but ot also let know who you you visited, when, etc … They are needed to compute a risk. NOT recorded in the cloud. Only risk statistics are recorded. of elementary ethics, and the proper respect for the privacy of drivers (even without law considerations, spying drivers does not match values of ​​NEXYAD). while driving (it is not only an App for the Insurance Company). order to let the driver slow down. It may save sriver’s life ! SafetyNex is not just a data collection tool for the insurer, it is also a useful tool for the driver, likely to save his/her life and at least to avoid causing accidents. So using SafetyNex is a win win process : valuable for both insurer AND driver !